I woke up to a great surprise this morning. 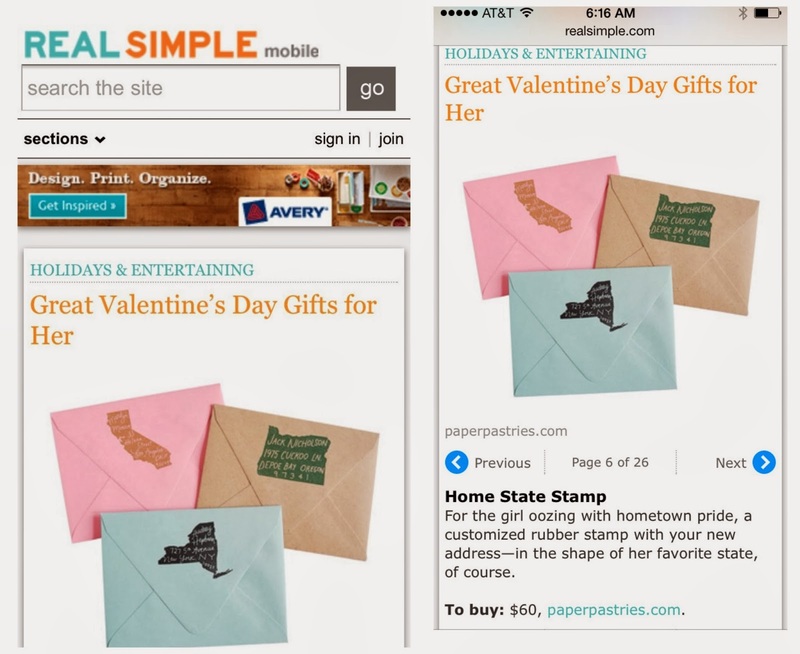 The original home state stamp is featured in RealSimple.com's Valentine gift guide. You can see it here. 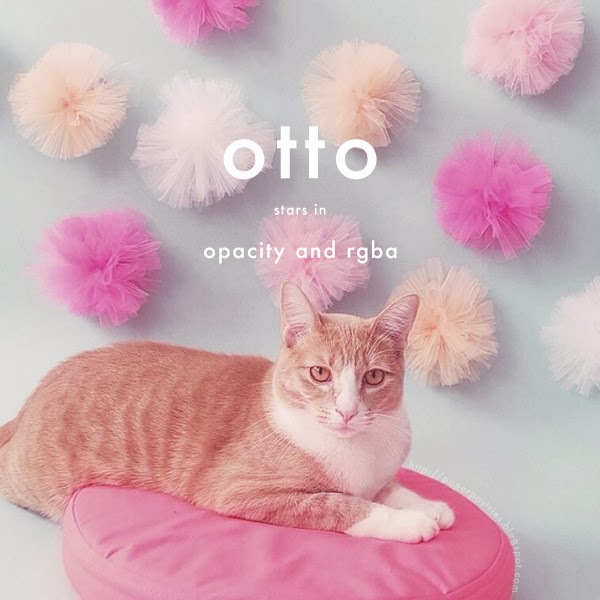 Another great feature, Katrina used Otto for an awesome coding tutorial. I'm also going to definitely refer back to this tutorial for curvy text. Katrina is amazing! Also, today is the last day to enter the giveaway. Tony and I have been in LA every weekend in January. I really miss all of our friends and family there. Last year we were so busy, we didn't get to see everyone as much as we wanted. So this year, we made a decision that we will go every chance we get. 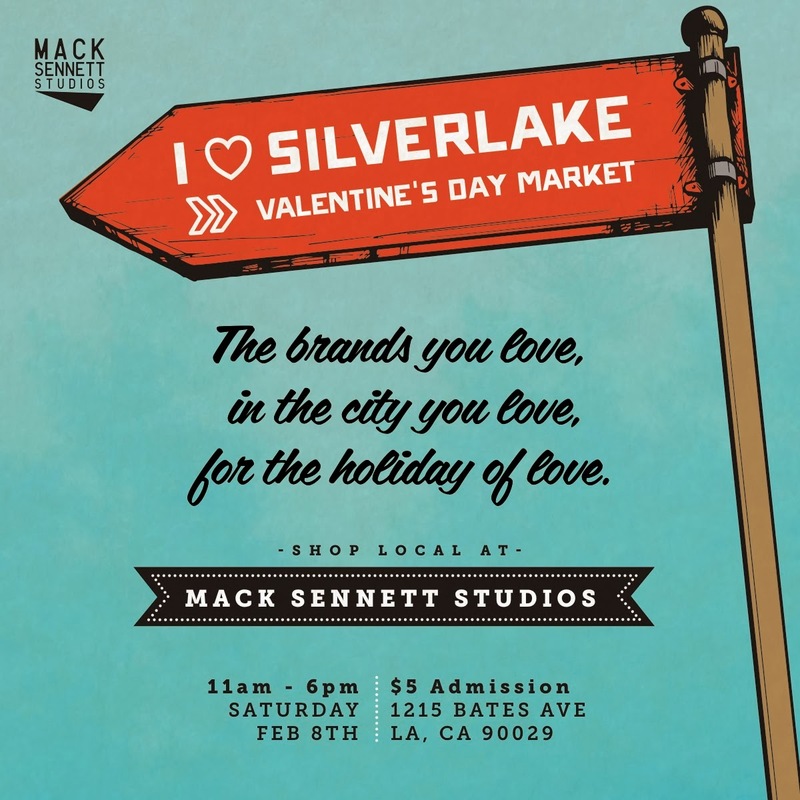 I was invited to be a part of this I heart silverlake valentine's sale and I jumped at the chance. February 8th we will at Mack Sennett Studios all day. We'll just have a table, so if you'd like to come shop for something specific let me know and I'll be sure to bring it for you. 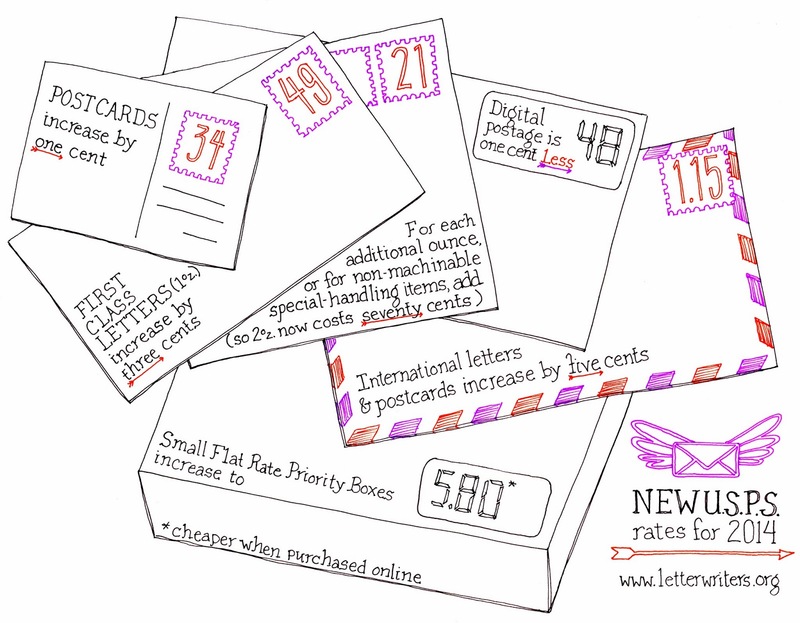 Today, USPS postage rates increase. Donovan drew this handy sheet for reference. Thanks D, It's awesome. I am still impressed that we can get a letter anywhere in the US for only .49 cents. Our postal system is pretty amazing. These are some of my current favorite forever stamp designs. All available at USPS.COM Send more mail! Did you know that today is National Handwriting Day? I'm not sure who made that happen, but thanks. I've been obsessed with writing and letter forms for as long as I can remember. I never wrote "Mrs. Margaret xxxxx (insert last name of crush here) but I did come up with 101 different M's and H's. While signing on the dotted line gets you a lot of wonderful things (a house, a car, a ring) I think the best use of handwriting is penning a letter to someone special. 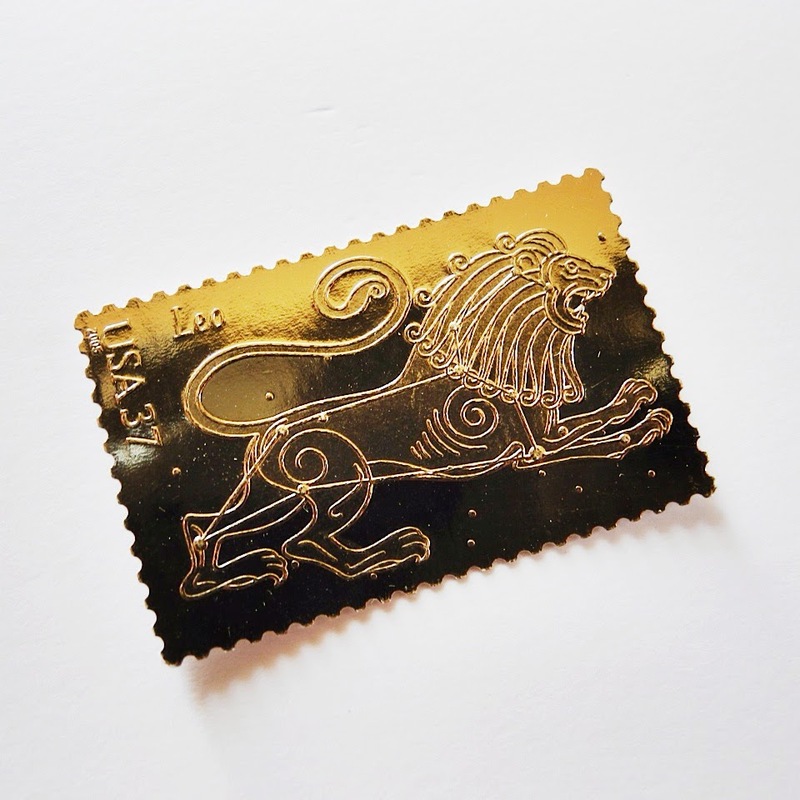 I love discovering great examples of handwriting (most of which I pin here) and I have had great success with my line of hand lettered custom stamps. To celebrate this day, I'm giving away an original paper pastries hand lettered stamp. I'm also doing a stationery giveaway on instagram, you can enter both. Just find me @paperpastries. Sorry the giveaways are only open to U.S. residents. Good luck! The giveaways will run until next Friday. A brief history of handwriting. 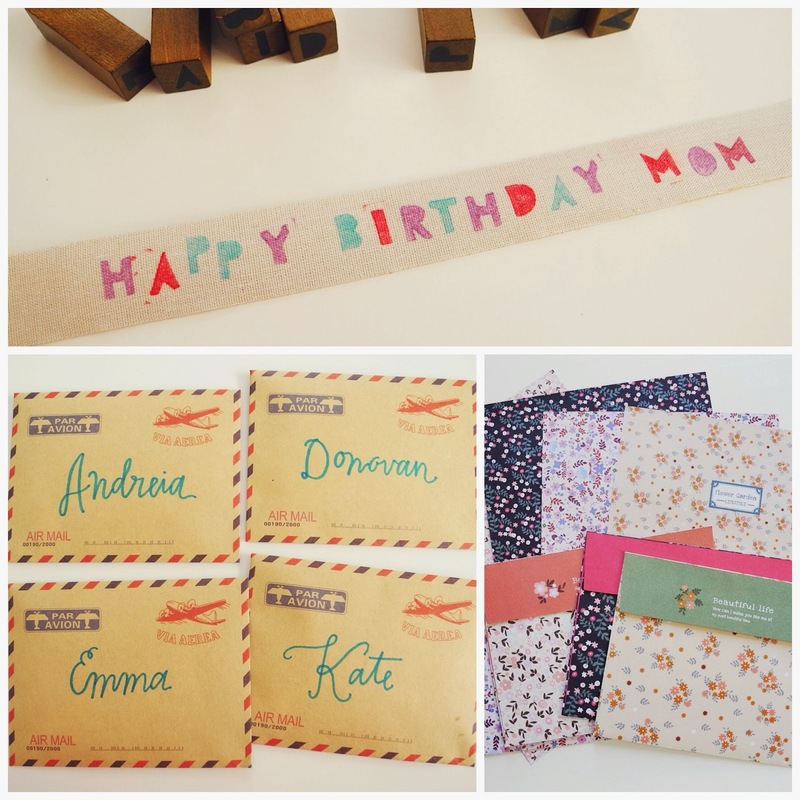 A few years ago at a craft fair, I introduced myself to another stationery maker. I said I really liked her line. I mentioned that I was always down to trade, if she wanted to check out my stuff. She replied with "I make stationery, why would I buy any?" That dumbfounded me. I always thought if you make stationery you had to be obsessed with stationery. And if you were obsessed, how could you be so into your line that you don't even want to look at any one else's designs? 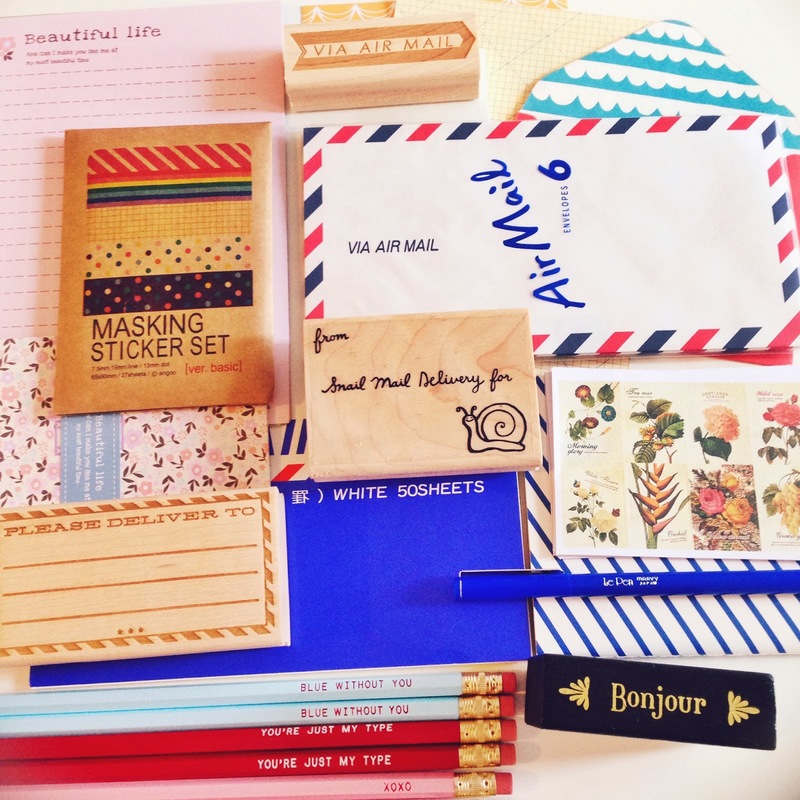 I am often inspired and motivated to come up with new designs when I come across stationery I really love. 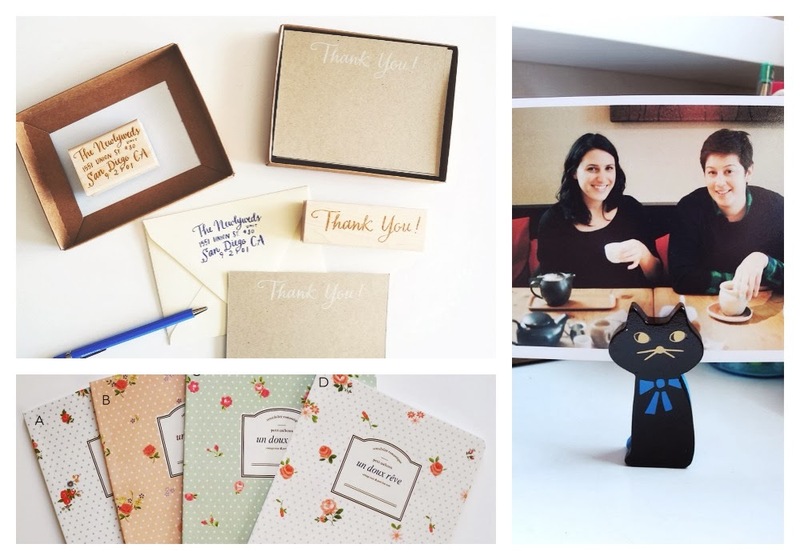 This "just write" is a new series where I share my favorite stationery finds. First up is Small Adventure. I first met Keiko at the Renegade Craft Fair. She is so nice and so easy to talk to. Since then, I've gotten to know her more and like everything about her. I recently picked up her Eco Systems Many Occasions card set. I love how these cards are large (A7 size) and very high quality stock. Another bonus- 100% recycled! What's not to love? I'm sure I'll be needing another set of these soon. 1) I listen to music all day, while I work alone in my studio. But, I'm not really alone because Otto and Milchy are with me. I often change the words to songs for them, you know, because I'm insane. "Just call me Miiiilchy, of the morning, baby" and so on. One day, spotify decided to play "All you need is love" but I changed it to "all you need is cats." I also made a dog one, but the cat one is better. 2) At the same time as printmaking, I was also taking intro to French, and that's when I heard about the Ex Postal Facto show. I wanted to combine French, art history, and printmaking so that's how this Magritte-like envelope came to be. 3) I love my polaroid land camera, this one was a no brainer. 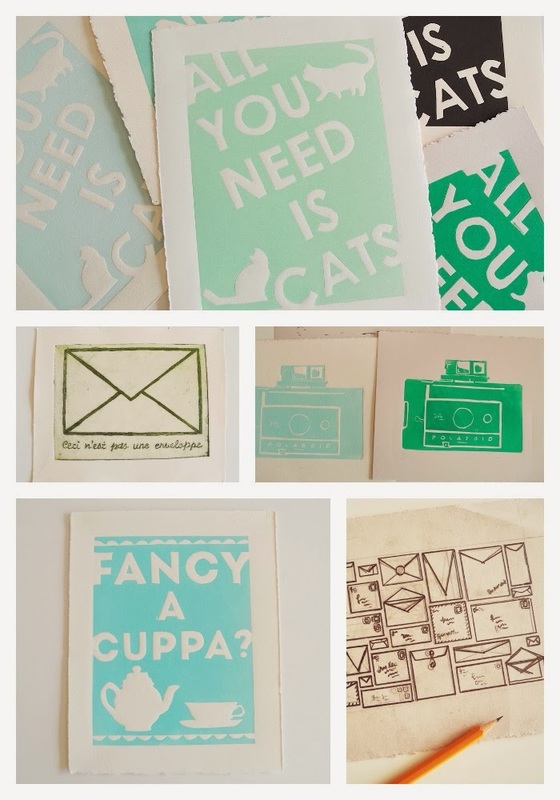 4) I had just gone to Renegade Craft Fair and seen a bunch of coffee prints. I like coffee and all, but where was the tea love? I asked Kate how tea is offered in the U.K.
5) After tearing all the paper for the above prints, I was left with this end scrap, that was still a good size. I started doodling on it and decided it should be a print too. This one is probably my favorite! These can be found in the print section of the shop. I made this Thank you Kit for one of my brides and I loved how it turned out. This kit is available in any style of calligraphy we offer. At the last gift show, I discovered a lot of new lines and finally got around to photographing them for the shop. To celebrate the new products the new year and the three day weekend, you can enter "2014" at checkout for 15% off any order. Offer expires 1/20 at midnight. Happy shopping! It's always fun when the Vintage Paper Fair comes to town. I think this is my third or fourth year going. I recently organized all of my stationery- it took the better part of 3 days. Katie and I went to the fair this year, and met up with some pen pal club ladies. I told myself I was just going to see my friends- I wouldn't add to the ridiculous stash that is my stationery supply. 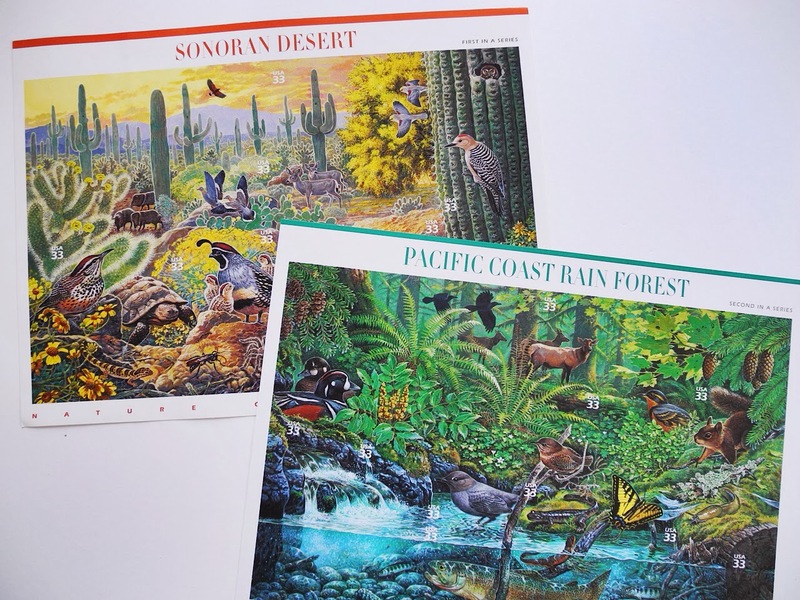 I loved looking through the postcards, old snapshots, maps and catalogs. I was pretty proud of myself for not buying anything then Victoria found this table of mint condition postage stamps. 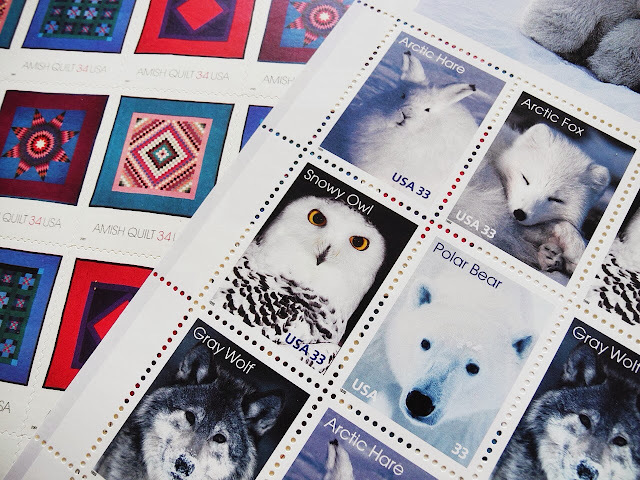 These aren't what I'd call vintage, but you can't just buy them at the post office anymore. I loved this series, and I had never seen these two panels. I didn't remember ever seeing either of these. I know the low denomination postage is all the rage but I just had to get these. Isn't this something? 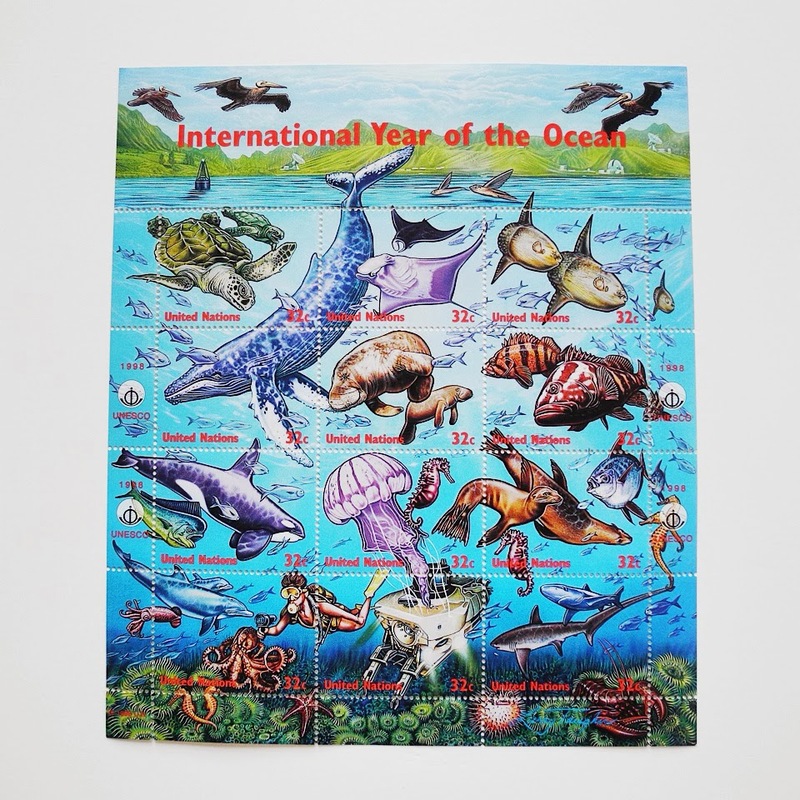 I got this for my Virgie, who loves the Ocean more than anybody I know. Katie, Mandy, Clare, Victoria and I were all looking through stacks of postage when Victoria came across this gem. Since I'm a leo, I couldn't resist it. I had such a great time seeing those ladies and I can't wait for the next fair! The question I ask more than anything: "what day is it?" I have to have a calendar in every room that I spend a lot of time in. I didn't have a lot of space, and the options for small calendars are somewhat limited. Lucky for me, there are so many great resources out there. I downloaded two free calendars, sized them in photoshop and printed them at staples. The first one is from Clemence. I like everything about it- the patterns, colors, + fonts. The second one is from Mini Reyve. The illustrations are just so cute! I got color copies printed on the thickest cardstock they offer, then trimmed them at home. I've had bad luck with Staples trimming things for me. I'm not sure if it's the cutter they use or carelessness, but to avoid having to have it reprinted, I just cut it myself. I punched two holes in each month and made a loop out of string. For both calendars, the total cost was around $10 and took me about an hour. Happy 2014! The first time I saw the moleskine postal notebook was when it arrived in my mailbox. I thought it was such a great idea, I just had to get them for the shop. Since Victoria was the one who introduced me to them, she had to be the one I wrote to first. I also just added some really fun shape stickers in a wide range of colors. You can find the postal notebooks here and the stickers here. This year, Tony and I hosted Thanksgiving at our house. His parents, my parents, my grandma and my uncle came. I always used to have fresh flowers around but that has dropped off. I let guests coming be my excuse to have fresh flowers on pretty much every surface that week. I just got a bunch of bouquets from Trader Joes. They have a really great selection at affordable prices. I got to set my table for 8, with my wedding china. Tony picked out the pattern. Doesn't that look like a pattern that an engineer would pick? I meant to take photos of the food but when you're a host, there's no time for that. We had a delicious meal and I got to spend all day with friends and family. Thanksgiving is the best holiday! I first saw some of Norman's Printery wrapping paper on pinterest. 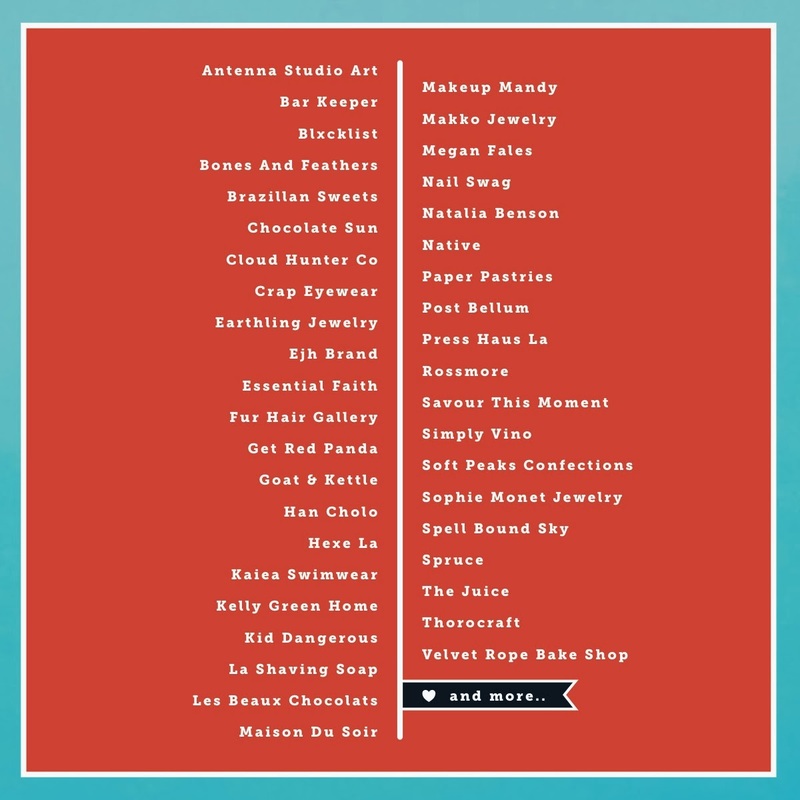 I followed the link to their etsy site. Because I couldn't pick a favorite, I ordered every one I loved. In no particular order, I got the lumberjack plaid, mountain range, winter forest, moon map, historic map, holiday triangular, plaid, mid century modern, botanical, and vintage postage wrap. When the box came, I laid everything out over every one of my tables. Here they are, aren't they awesome?